Teachers Vs Tech: Who will rule? Mention Online Education to someone or type the term into the search field of your favorite search engine, and you will instantly get a slew of responses or results. It includes big and not-so-popular names of education technology providers and solutions that are part of the now gargantuan Ed tech world. While the options for online educators and learners have gone through the roof, the basic objective of teaching remains unchanged for every educator. It is to impart knowledge to learners while remediating the problems encountered by learners during the process of learning. Let’s focus on the two key aspects of this statement, which are imparting knowledge and remediating the problems to ensure learner success. At the centre of it all is the educator who is crucial to achieving this objective. To stay true to their craft and keep this purpose from being compromised, educators need to clearly see through the hype about education technology and block out the incessant noise about the innumerable educational solutions out there. An educator needs to choose the right education technology, which assists him or her in achieving this objective. Simply put, educators need to understand the role of education technology and the extent to which it should be employed in realising their goal. Now don’t get me wrong. 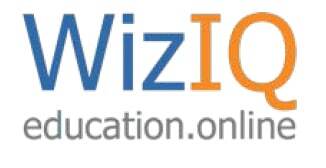 I have been a long-standing advocate of education technology myself, having founded WizIQ Inc., an education technology company that helps educators build their own online academies. I strongly feel that education technology solutions are great in the sense that they enable educators to address the varied learning needs of learners effectively. No matter how great is the technology that you use; you simply can’t take the educator out of the learning process. For example, there is much talk about adaptive learning these days. It’s an amazing concept that fascinates me. There are proponents of this concept who believe that one can build a technology solution so intelligent that it can automatically assess a learner’s abilities, identify areas of improvement, and suggest and apply suitable remedies to overcome learning challenges during the course of learning. Remedies can be in the form of learning material or online courses that would help the learner move up the learning curve. It is a setup where everything is automated to an extent that you don’t need an educator at all. While the idea sounds fantastic and futuristic, but doing away with the educator completely could prove to be a mistake. Let me explain. You can assess learners and identify the areas of improvement using technology. However, technology will not tell you with certainty why the learner is weak in certain areas. That’s a big question for an educator. The reasons could be many including, lack of interest or motivation, poor concentration, and reduced attention span, just to name a few. Technology, in its present stage of evolution, cannot identify or measure these factors. That’s where the role of an educator becomes indispensable. You need a human touch to effectively deliver learning and witness a positive outcome. At WizIQ, we empower educators to use technology in order to build their own online academies, which they can use to deliver live, self-paced, and blended learning. To help educators achieve their objective of imparting knowledge and remediating the problems, we recently launched a new feature of Online Academy called Insights. It provides educators with actionable information in an easy-to-consume way about learners’ activities, effectiveness of the learning content, degree of engagement of the learner, and more. Using Insights, educators can know about the amount of content of their online courses and classes that has been consumed by each learner. Based on this information, educators can make informed decisions about their teaching approach, choice of content, and much more. They can use these insights to even create a bespoke learning plan for each learner. Insights enables educators to make more and more data-driven decisions. That’s technology increasing the effectiveness of educators, instead of replacing them altogether or acting as a substitute for them. Cutting to the chase, I think that the purpose of technology should be to enable educators to personalise learning experiences rather than trying to figure out ways to eliminate the need to have them. In fact, it has great power to impact education if one thinks of technology like this. However, educators need to be discerning enough to choose the right education technology.